The story behind an Aberdeenshire stone circle which was thought to be thousands of years old – but was recently revealed to be a 20-year-old replica. 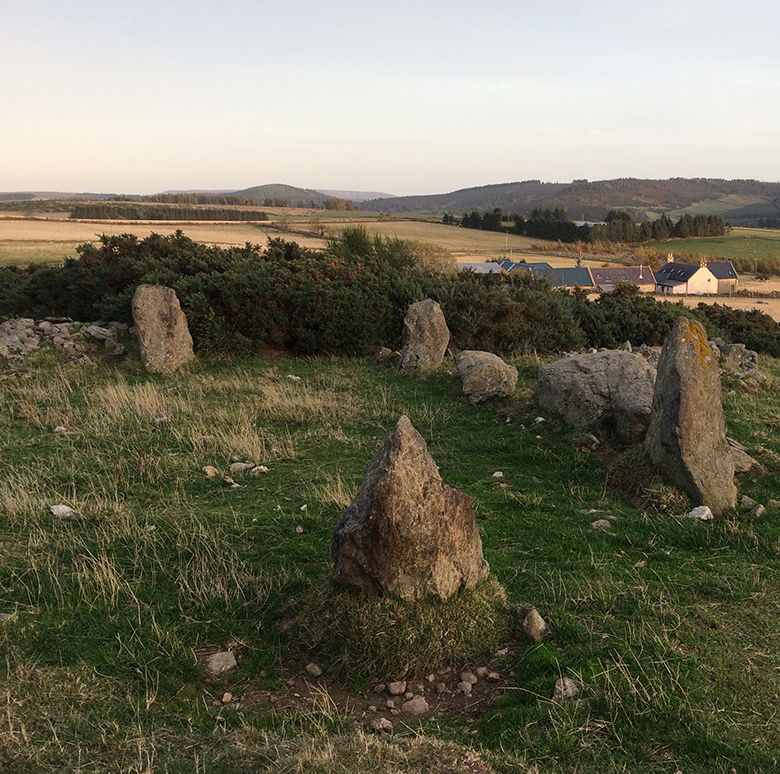 In October 2018, the Archaeology Service of Aberdeenshire Council contacted HES with remarkable news: a previously unrecorded recumbent stone circle had been reported on farmland at Holmhead, near the village of Tarland. It was an exciting prospect. 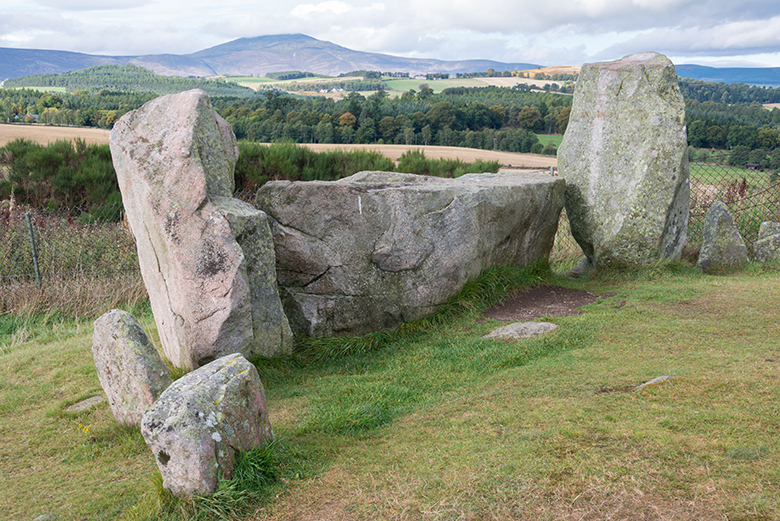 Such ancient monuments are unique to north-east Scotland and can date back between 3,500 and 4,500 years. What follows is a compelling tale of research and re-evaluation featuring a Victorian vicar; fond childhood memories and one very creative landowner. 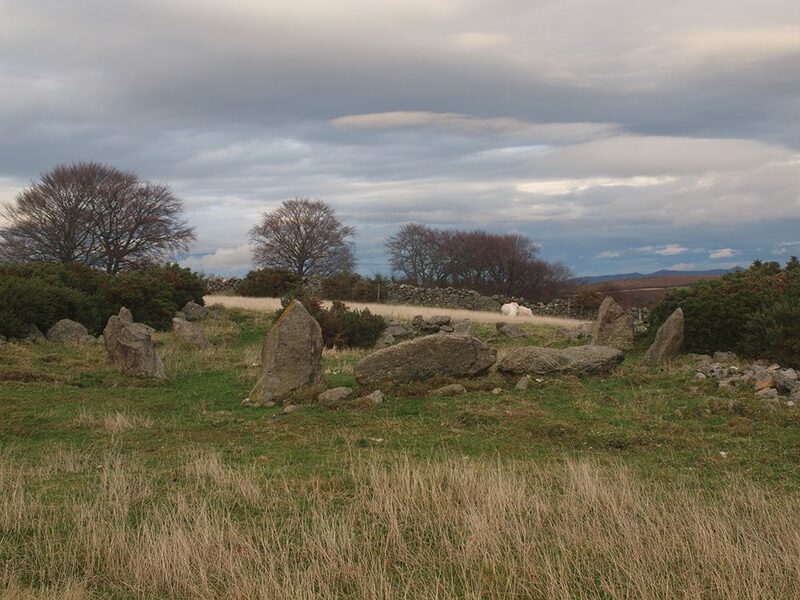 Recumbent stone circles are a typical feature of Aberdeenshire’s prehistoric landscape, but discovering one in such a complete condition as that at Holmhead would be exceptional. The report was timely. 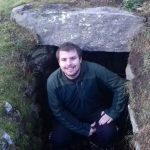 A team of HES archaeologists would be working in the local area in November, and agreed to add a survey of the Holmhead stone to their itinerary. When surveying Holmhead, the HES team identified a number of potential shared characteristics with similar stone circles. These included the ‘boat shape’ of the horizontal recumbent stone and the upright orthostats being laid out in pairs. By December, the remarkable discovery had been celebrated as an authentic and extraordinary new discovery, and details of the stunning find were released to the media. This said, several anomalies were also recorded. For example, the Holmhead circle was unusually small. It had a diameter of just under 8 metres, some 3 metres less than the smallest known circles. Holmhead’s height above sea level only just fell into known limits, while its orientation differed from that of nearby Tomnaverie Stone Circle. There was also evidence of modern intervention with the positioning of the stones. Seeds of doubt were beginning to grow in the minds of HES archaeologists. This mixture of shared characteristics and anomalies meant the survey alone could not verify Holmhead’s authenticity. Further research was needed. It was time to hit the archives. 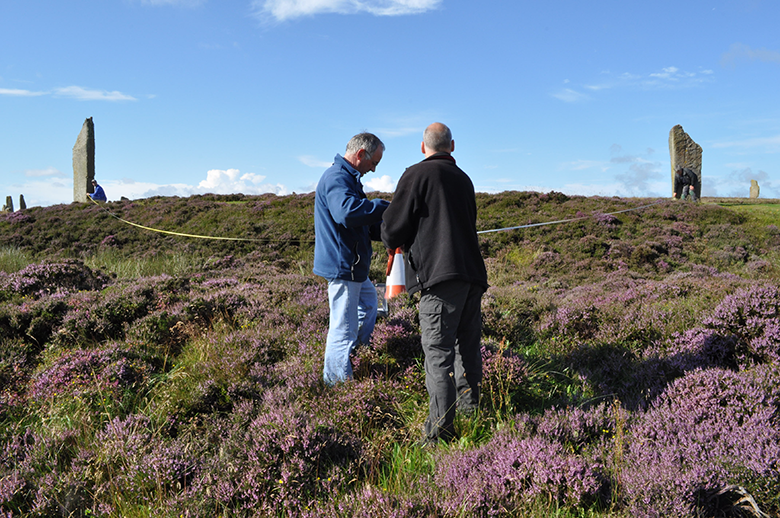 An effective research method was to check for evidence of the Holmhead stone circle on historic maps. 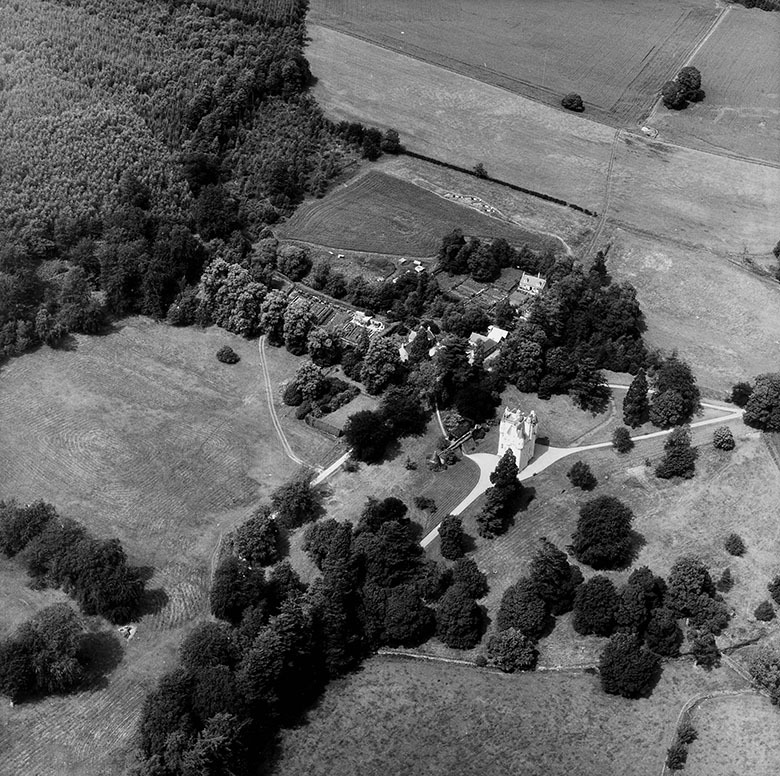 HES archaeologist Adam Welfare arranged a search for old maps of the Hallhead Estate. It had come into the ownership of the Wolridge-Gordon family in the mid-1800s. But before any estate maps could be uncovered, Adam discovered compelling evidence on an Ordnance Survey map dating from between 1893 and 1912. The 25-inch scale map detailed the area around the stone circle intricately – but did not record the prehistoric monument. Adam had previously consulted the work of the Reverend George Williams. This Victorian vicar who was born at Holmhead in 1845 and was interested in local history. His paper “Sockaugh” was published in issue 5 of the Cairngorm Club Journal in 1895. Focusing on the history, topology and geology of the neighbourhood, the paper makes a specific reference to Holmhead. But it doesn’t mention a recumbent stone circle. Instead, it discusses the presence of an unusual sand pit. It is peculiar that a history enthusiast who donated prehistoric artefacts from the farm to the Smith Institute in Stirling should omit the stone circle from his publication. Fast forward 100 years and the Holmhead stone circle was also not noted in the RCAHMS Craigievar Survey of 1994. It is curious that surveyors from HES’ predecessor were within 100 metres of the site, but appear not to have come across it. The megalithic mystery grew deeper when the research turned to oral history. 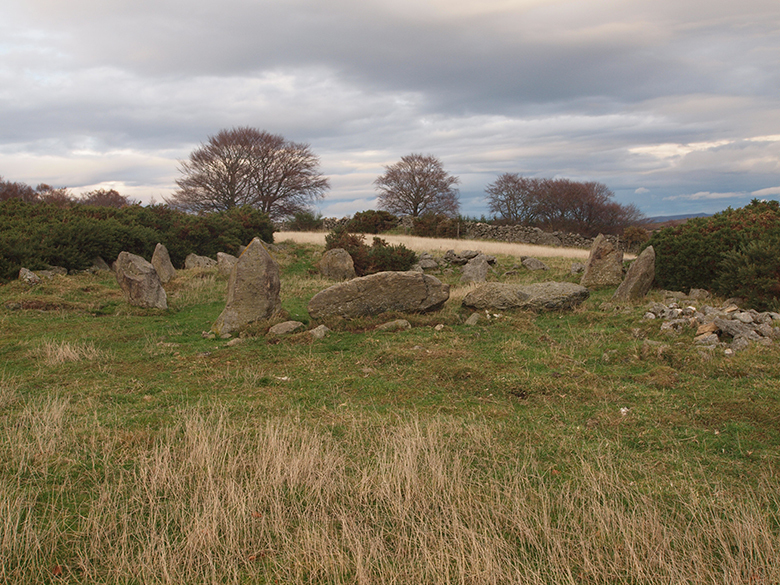 Even though Reverend Williams, the Ordnance Survey and RCAHMS had made no mention of a stone circle at Holmhead, it was recalled in testimonies from locals. The inhabitants of a neighbouring farm seemed aware of the circle, as apparently did an elderly lady who had fond memories of the site as a child. Yet another contradiction was made by a social media user, who implied that the stone circle had only been in existence since around 1996! Finally, on 20th December the puzzle was solved. Adam received a phone call from a man who had bought the property at Holmhead as a restoration project in the mid-1990s. He revealed that he had built the stone circle for his own amusement about twenty years ago. The site provided an excellent spot for contemplating the view of the Aberdeenshire landscape. When the property was sold, the unique “prehistoric” feature was left behind. Little did its creator know that it would cause such excitement two decades later! Like the other oral testimonies, the claim made in the phone call also had to be tested. However, combined with the other research there seemed no reason to doubt it. While this twist in the tale may have proved somewhat embarrassing, Adam highlights how the true identity of the Holmhead stone circle is still good to know. “Modern replicas are becoming increasingly common and can cause genuine confusion,” he states. The Holmhead case is not the first instance of archaeologists being tested. In 2017, a pair of standing stones near Inverness was reported to HES. Only after considerable research did it become clear that they were installed relatively recently. 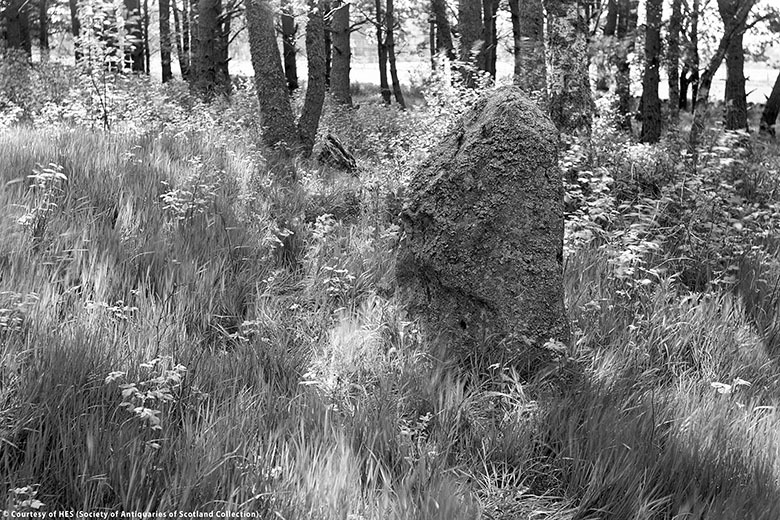 RCAHMS faced a similar conundrum in Strath Don where cattle rubbing stones proved to be a mixture of prehistoric survivors and more recent introductions. A copy of Reverend Williams’ article [PDF download] is available from The Cairngorm Club.